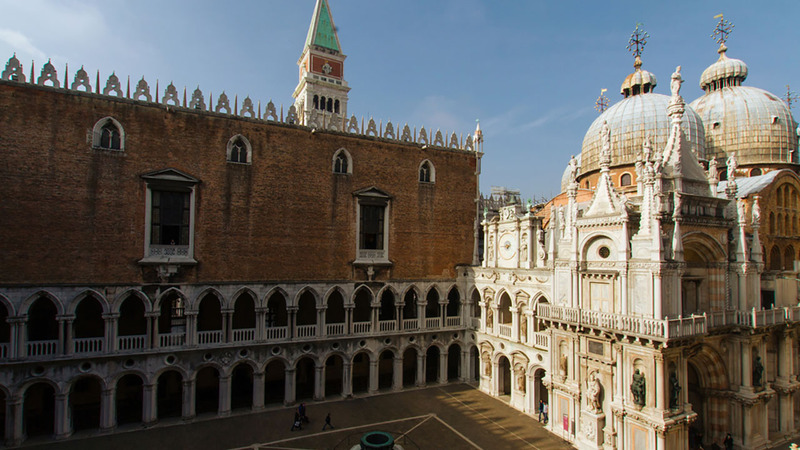 The most complete tour of the Doge’s Palace, we’ll take you to special access areas not usually open to the public – including torture chambers and Casanova’s prison cell! After your secret passages tour you'll skip notoriously long general access lines to get inside the Doge's Palace for a special tour by our local guide. Traveling in small groups of max 20 people throughout, your journey will be intimate, while privileged access means you won’t queue at all. With special access you'll see more of the Doge's palace than most other visitors. You’ll meet your guide near the Doge’s Palace and head straight inside (no waiting in line for us) where a palace guard will unlock a secret door, allowing you to step into the hidden world of political Venice. Navigate the hidden prison cells reserved for VIP prisoners, torture chambers, secret government archives and top echelon offices. Even back in the day most Venetians didn’t know this space existed, so it’s hard to measure just how privileged our secret passages tour is. With their antique cabinets and creaky floors these rooms will truly make you feel as if you’ve stepped back in time. By exploring the secret passages, you get away from the crowds elsewhere in the Doge’s Palace and walk in the footsteps of Venice’s most colorful characters. Our favorite? Casanova, that legendary romantic – yes, he did exist! As you’ll learn, he deserves all of the lore. Against all odds, he was able to escape his cell here in the palace, a cell you’ll get to see exclusively in the secret passages tour. See Secret Passages and stunning Ballrooms at Palazzo Ducale. Few visitors ever have the opportunity to walk the passages you’ve just walked yet still the Doge’s Palace is one of the top sights of Venice. See what all the fuss is about when you step back into general access areas of the palace to explore the waiting rooms, council halls and ballrooms of the palace. 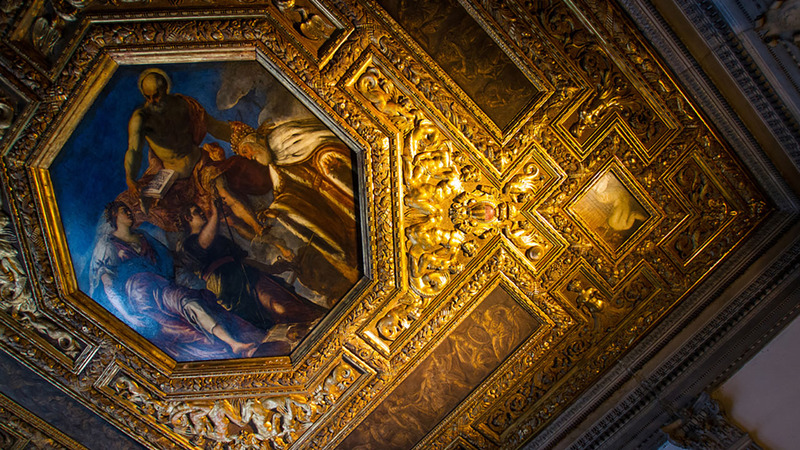 While our secret passages tour is full of dark secrets and hidden rooms, the general access part of this tour is all pomp and grandeur – visiting some of Venice’s finest works of art. You’ll discover the public face of the Republic of Venice with your expert guide, from the Doge’s own lavish apartments to the Hall of the Great Council. Admire beautiful and dramatic paintings by Veronese and Tintoretto and explore the magnificent halls that demonstrate the prestige of the Venetian Republic. 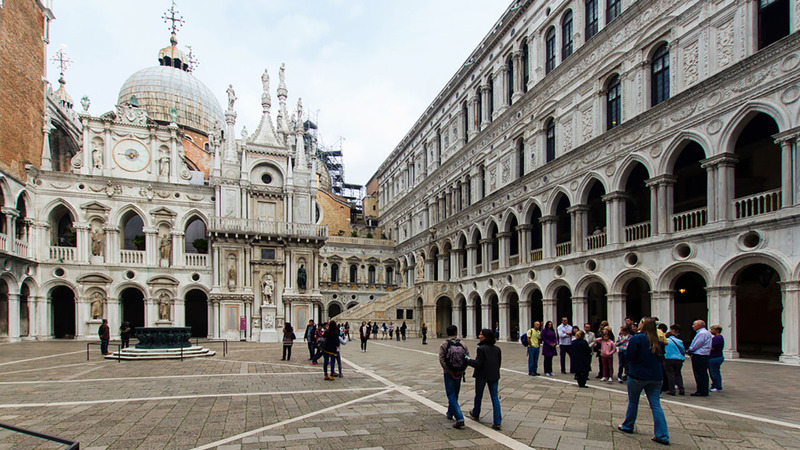 Round off your experience with a visit to Venice's other great site; St. Mark's Basilica. Since you're traveling with a local guide, you'll have use of a special entrance at the Basilica, potentially saving you up to an hour of waiting in line. Once inside, your guide will give you a full tour of the Basilica, from the east-meets-west architecture to the stunning gold mosaics. Nowhere pays homage to the city's past so much as St Mark's Basilica, a structure which benefited greatly from the pillaging of Venetians abroad. In fact, even the relics of St. Mark, held here, were stolen. You'll also see the famous altarpiece, the Pala D'oro - no prizes for guessing which metal its made from. Blending so many world influences, it's a perfect microcosm of Venetian style and history. And like the Doge's Palace, it holds plenty of prime storytelling material for your guide. Small groups, special access, local guides. What more could you want? Throughout your tour you’ll travel in small groups of only 20 people or fewer so you’ll find that your guide is always easy to hear and engage with. 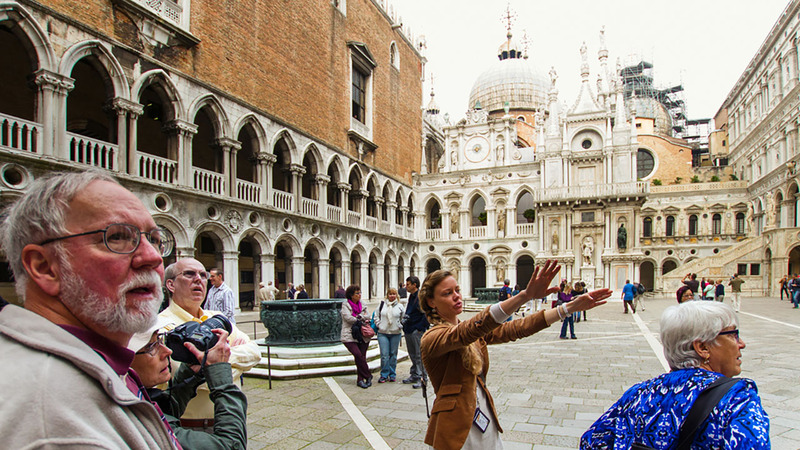 Ask all the questions you want – our guides are Venetian locals who spend a lot of time in the Doge’s Palace and St. Mark's Basilica, so you’ll find it hard to catch them out. They’re passionate about the history and art of Venice and about sharing that passion with you, so they’d love to hear your queries. 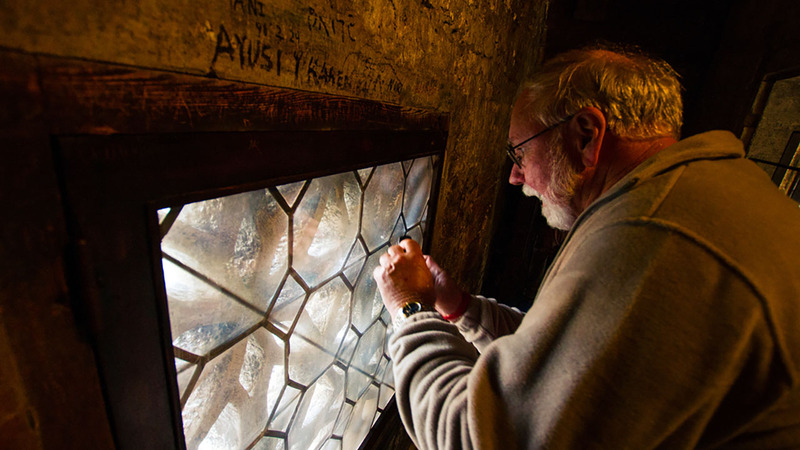 With privileged entrance, we save time waiting in line, while special access allows us to go far beyond the usual visitor experience for an adventure into the Doge’s Palace secret passages. Leave no stone unturned or door unopened on this complete, comprehensive, and thoroughly VIP exploration of the history and art of Venice! Please note that due to Doge's Palace rules, we cannot accommodate children under 6 years old in the Secret Passages. The tour was good and the guide very knowledgeable. Only negative was that at a certain point it felt the guide had to rush the group to finish up. A fascinating tour brilliantly delivered, thank you! Due to Doge's Palace regulations, children under the age of 6 are not permitted inside the secret passages and therefore cannot take this tour. The prisons and secret passages as well as the terraces at St.Mark's are not wheelchair-accessible, nor is the route suitable for those with walking disabilities or for pregnant women. Please contact us at info@walksofitaly.com if you have walking disabilities or if you are in a wheelchair to discuss alternative tours.